Product prices and availability are accurate as of 2019-04-09 14:08:55 EDT and are subject to change. Any price and availability information displayed on http://www.amazon.com/ at the time of purchase will apply to the purchase of this product. Tired of trying to awkwardly carry your yoga mat to the studio and back? Get the LISH Yoga Mat Tote, and make your commute that much easier. This easy-to-carry yoga mat bag is the perfect blend of style and function, ideal for yogis and yoginis alike. The high quality, all natural hemp and cotton construction is lightweight and durable, creating a bag that can withstand daily use without weighing you down. 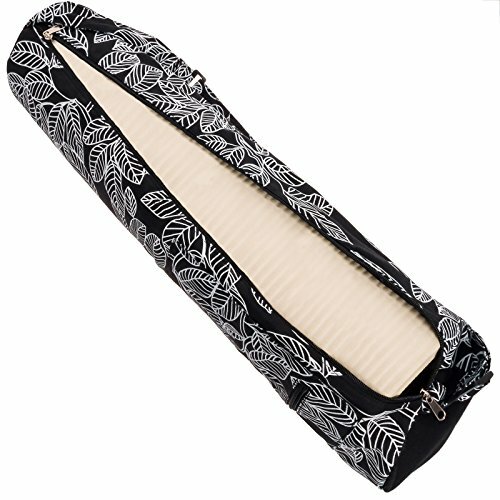 A full length zipper down the side gives you easy access to the mat inside, and the main compartment is spacious enough to accommodate most standard size mats. 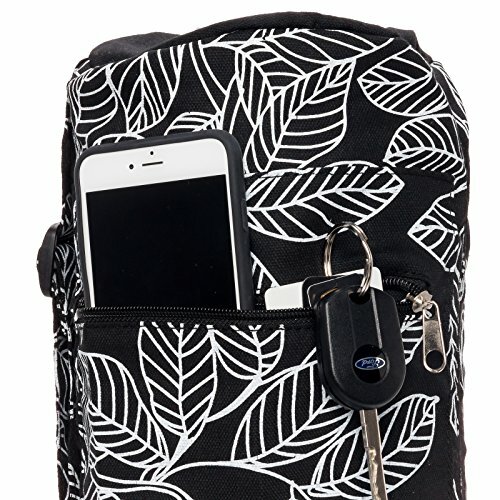 On the outside, a convenient zipper pocket is spacious enough to hold keys, phones and small yoga towels, keeping you organized and your hands free. 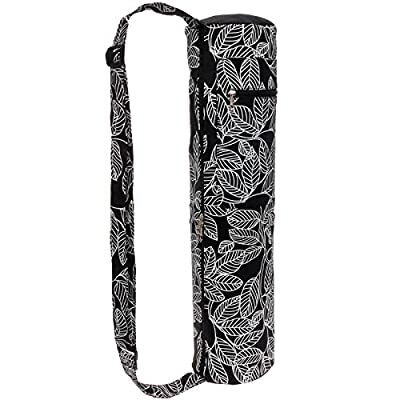 Whether you take your mat to class of the park, the LISH Yoga bag is a great, eco-friendly way to keep your mat clean and dry while on the go. Bag measures 26" L x 10" W x 6" D w/ strap drop adjustable up to 25". Side storage pocket measures 10" x 8.5". Please note: yoga mat not included. PRODUCT DIMENSIONS - Bag measures 26" L x 10" W x 6" D w/ strap drop adjustable up to 25". Side storage pocket measures 10" x 8.5". Please note: yoga mat not included. 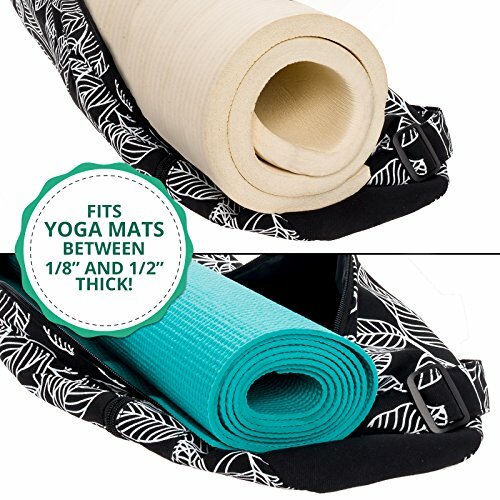 FITS MOST STANDARD SIZE MATS - The LISH Yoga Mat Bag is spacious enough to fit most standard yoga mats, up to a maximum diameter of 6" when rolled. Perfect for yoga or pilates! 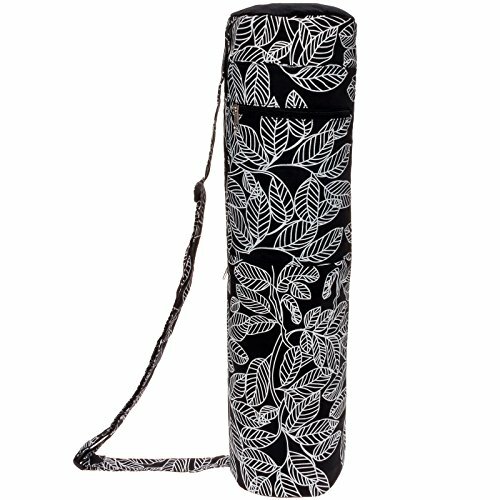 MADE OF ALL NATURAL MATERIALS - Crafted from 55% cotton, 45% hemp, the LISH Yoga Mat Bag is an all natural, lightweight and durable tote that's good for the environment. EASY TO CLEAN - Frequent trips to the studio can be fraught with dirt and stains, but never fear! This sturdy yoga tote is machine washable, so you'll be clean and out the door again in no time flat. STORE TOWELS, CASH & KEYS - Get your zen on without worrying about your gear. The convenient side zip pocket measures 10" x 8.5", large enough to hold phones, wallets or smaller yoga towels.